Join us for the 8th Annual Hartford Harvest Market! 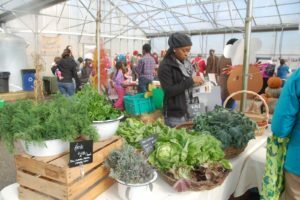 The Hartford Harvest Market is a one-stop-shop for residents to purchase their Thanksgiving wares, providing them with fresh and local produce and goods for the holiday season. Not to mention fresh food, live music, and activities for the whole family! Locally produced hot sauces, jellies and preserves, honey, baked goods, cheese and more! Plus, a FREE Composting Workshop!